Product prices and availability are accurate as of 2019-04-22 03:00:54 UTC and are subject to change. Any price and availability information displayed on http://www.amazon.com/ at the time of purchase will apply to the purchase of this product. Ready for speed, smoothly styled, and geared for simplicity, the Pure Fix Original fixed-gear, single-speed road bike gives you the flexibility to ride fixed or freewheel with its flip-flop rear hub. 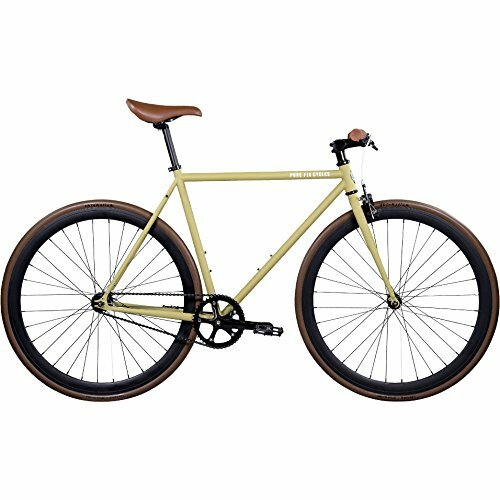 This best-selling fixie from Pure Cycles is ideal for those getting back into biking or anyone who just wants to get a feel for riding fixed. The Pure Fix Original marries the elegance of a classic urban geometry frame and straight fork with the toughness of durable, fully Tig-welded high tensile steel construction that's built to last. The bike is kitted out with a Pure Cycles Drome saddle for a nice mix of comfort and style, front alloy dual pivot brakes for quick stopping, custom Pure Cycles x WTB Thickslick 700 x 28C tires for excellent control and contact with the road, and 40mm deep-dish wheels. Weighing from 22 to 25 pounds (depending on size), this lightweight bike is easy to maneuver through city streets. 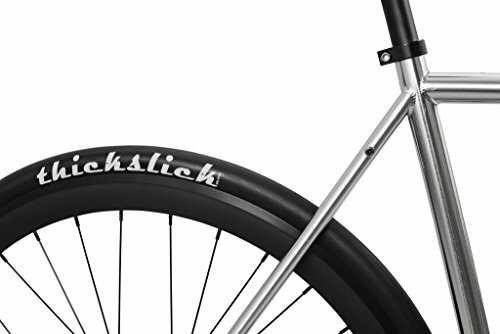 With the flip-flop hub, you can quickly change from riding in fixed gear mode to freewheel. Riding with the 15T fixed cog gives you an unmatched feeling of connectedness to the bike, the road, and helps you perfect your pedal-stroke. 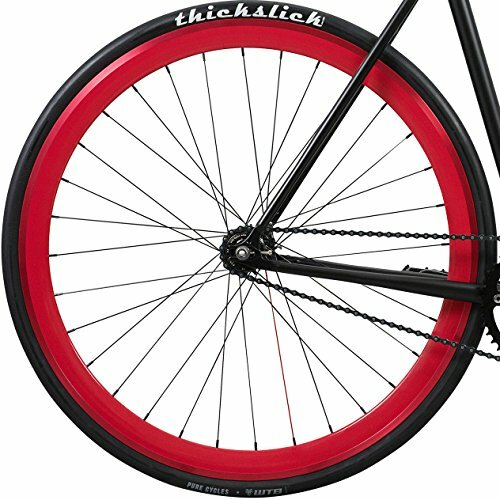 The 16T freewheel gives you the ability to coast and cruise, just like the single-speed you grew up on. 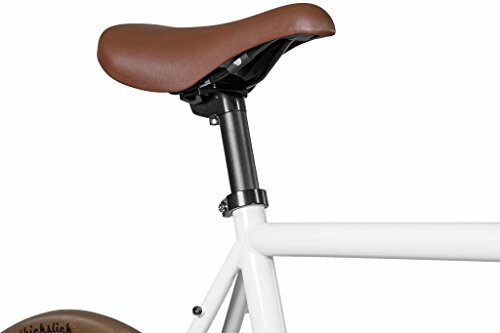 Easily customizable, the Pure Fix Original can be upgraded with different styles of optional handlebars, saddles, water bottle cages, foot straps, and more from Pure Cycles (sold separately). Shipped 90% assembled, the bike is simple to assemble and maintain, and you can follow the Pure Cycles YouTube channel for instructions and tips. 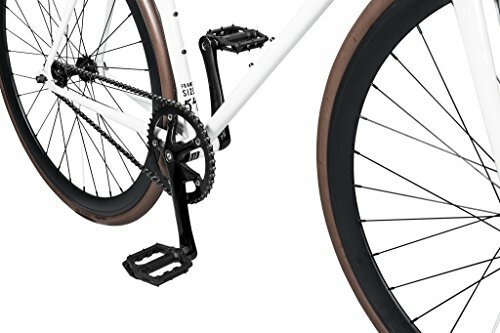 It's backed by a manufacturer's lifetime warranty on the frame and fork, and a manufacturer's 1-year warranty on components. Celebrating bicycling for all that it offers, Pure Cycles offers a variety of frame, geometry, and gearing options as well as a cornucopia of compatible accessories, including different styles of handlebars, saddles, water bottle cages, foot straps, and more.